It has been a summer to remember and I don’t say that lightly. 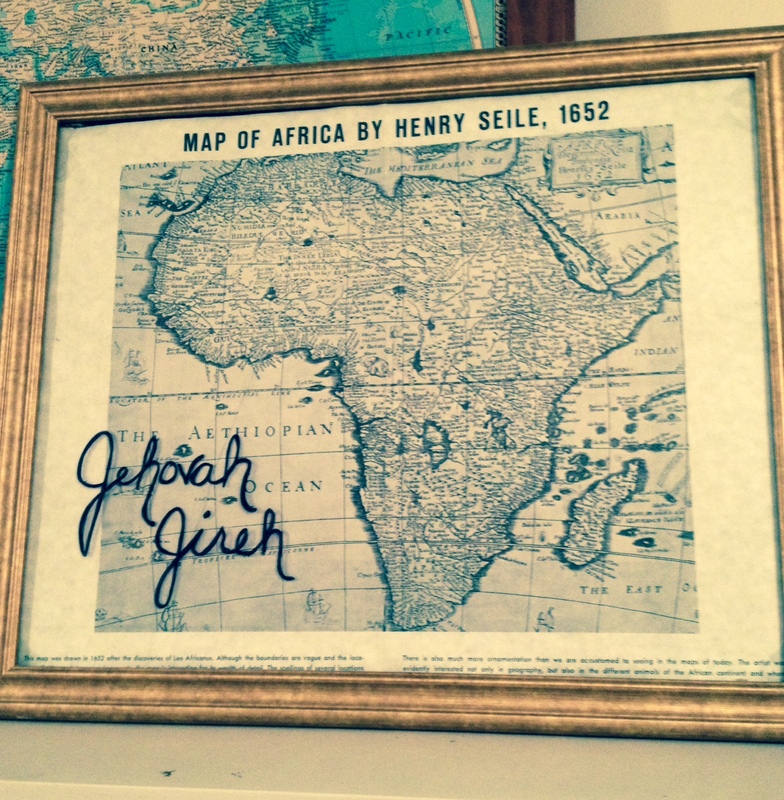 This past summer we went to Africa and met our 4th daughter for the first time ever. We spent a joy filled week with her and then we had to take her back to the orphanage, get on a plane and fly home. Heartache. When the Lord called us to adopt we thought the hardest part would be coming up with the money that it costs to go through an international adoption. We had done our research and picked an agency and country to adopt from that we felt would be as ethical as possible. People were praying and eyes were watching as we took a step of faith and said yes to a just turned 2 year old little girl from the DRC. Now that just turned 2 year old is 4 and she is still not home. What I know to be true is that the Lord is good. He is faithful. He is just. He grants mercy. He is trustworthy. He is our provider. He is our healer. He is good. We can’t trust in a country, an agency, a lawyer or even ourselves. We have to trust in the one whose heart breaks more than ours at the injustice of power being more important than children’s lives. The Lord who is near to the brokenhearted, to our little ones without mammas and papas. The God who gives peace while all around you have every right to be angry, frustrated, depressed and justified. We are ready for the Lord to stand up and get angry. For him to demand justice be done. We thank the Lord because he is the lord most high. He is righteous. He have seen him working in bringing our daughter to a safe home to live until she can be here. Her bright smile, her laugh and the English that she says when we skype feels like the Lord is smiling upon us. We feel blessed. Be near to the hearts of the children who are waiting for their families to be allowed to come and bring them home. Comfort these children and help them to know that their families are FIGHTING for them to come home. FIGHTING.God, lift our weary arms when we are too tired to fight. Send in friends and family who will fight for us. Thank you for those who encourage, love and stand strong beside us. Thank you Lord. You are our provider. Move mountains. Bring Justice. Birthdays are a funny thing as you get older. Presents are still exciting. Cake is still delicious. Time spent with friends and family is meaningful. I am amazed at the life we have built. 3 amazing kids and 1 coming home soon from Africa. I have chosen to stay home and homeschool my girls. This is a major life choice. It affects me daily, but I am also blessed by it daily. 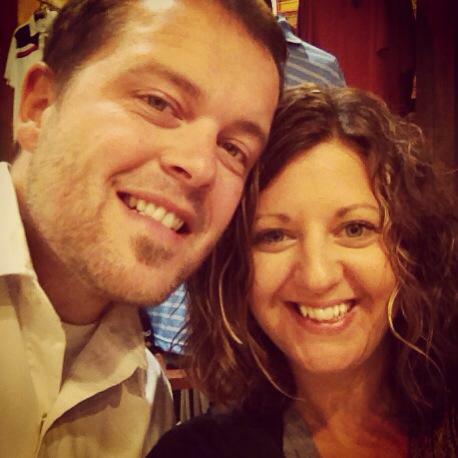 My husband and I relocated to Decatur, IL in the past 10 years to be close to family while we raised our family. This, also a major life choice, has been amazing. I can’t imagine my girls not being able to see their nana and papa weekly and grow up with their cousins. Huge blessing. We have moved two times. One starter house with a phenomenal purple bathroom and finished basement. We brought home all three baby girls to that house and have so many family memories between the doors and walls. We outgrew those walls and moved to a more family friendly neighborhood into a 100 year old house with a front porch that called my name. Then we decided to adopt. We are still in process of adopting… 3 years later. It has been a struggle of a journey and the end is still out of sight. I dream of the day I have to count kids for fear of leaving my 4th daughter behind as she wanders off to explore. Life is moving forward, even though some days can feel like a standstill. Thinking about the way life progresses brings to mind a small creek. Growing up, one of the most magical places to play was in my grandparents backyard. 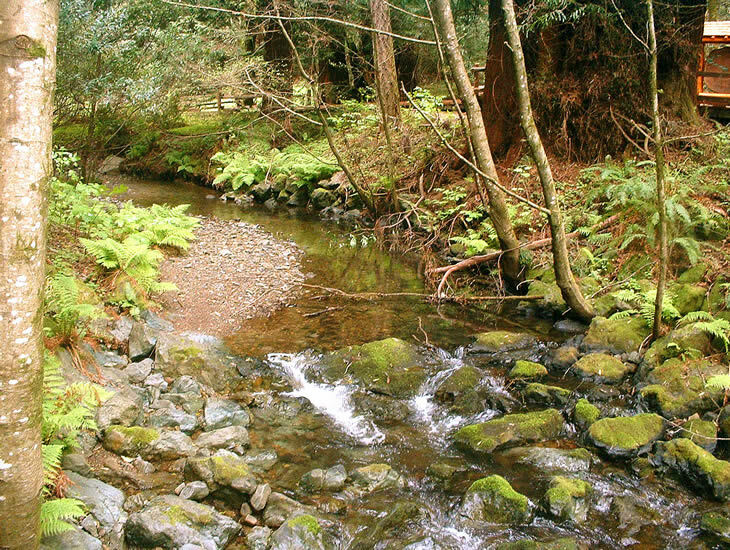 They lived on the edge of the woods with a small creek running alongside their house. As kids, we were drawn to the creek. We would cross the creek on logs, skip rocks and wade in the creek. Now 25 years later, the creek is still there and you can see the well worn path of its ebb and flow. There are times when the creek is so low that the water doesn’t move and it seems to stand still. There is no current. After a good several days of rain, the creek would be fast moving and full of life. A creek has different seasons just like life. Some years are full of life, exciting and moving at a fast pace. Then there are years where you wonder what has happened to the current. Life seems to come to a stand still and you yearn for the fast paced current of years before. In reflection, you look back and realize that each day adds up to make years and you see that life is still moving, choices are made and blessings received. I am thankful for another year. My heart is so grateful for all my family and friends that have encouraged, supported, loved, listened and have lived life alongside of me through life’s current. Here is to another year… praying for an exciting and fast past current, but trusting the Lord as he guides the daily, constant current! the Spirit of knowledge and the fear or the Lord…. In that day the heir to David’s throne will be a banner of salvation to all the world. For advent this year I am reading through the book, “The Greatest Gift: Unwrapping the Full Love Story of Christmas” by Ann Voskamp. 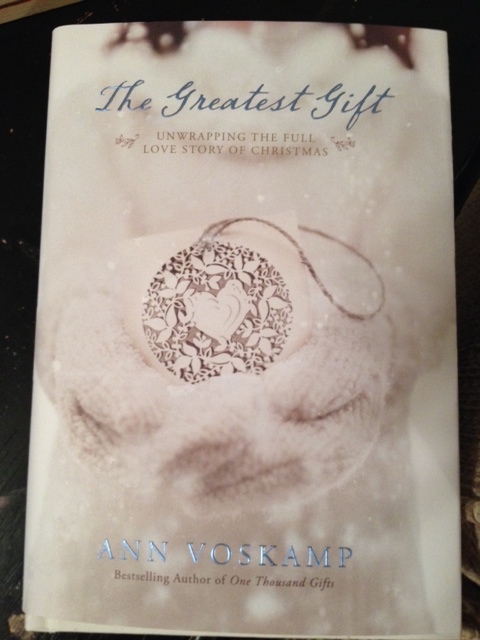 If you have not read anything by Ann, you need to put her book, “One Thousand Gifts” on your “to read” list for 2014. You can also meet Ann on her blog and see what she is up to on a day to day basis! She is an inspirational woman with a huge heart for sharing the love story of God and how we can be in constant communion with HIM through words of gratitude. I loved her first book and so I was so excited to buy this book to use as a daily reading through advent this year. You can hear more of Ann’s heart about this new release by watching “Christmas at the Farm.” It is 1 hour, so grab a cup of hot chocolate or coffee and sit down with Ann and Liz Curtis Higgs. Trust me, you will feel like you are sitting with some good friends, listening to them chat away! It’s wonderful! A CHRISTMAS THAT HOLDS ME. Ann’s book takes you from Genesis through Jesus’ birth and recaptures how the word of life is pointing to God’s Love and the Messiah along the way. Each day there is a small section of scripture to read, a poetic and thoughtful response from Ann, a daily application, 3 questions to journal and an ornament to put on your Jesse tree. The concept of a Jesse tree is not new. I tried to do the Jesse tree a few years ago with my girls and we didn’t make it through the whole month. I am loving doing it just for myself this year. 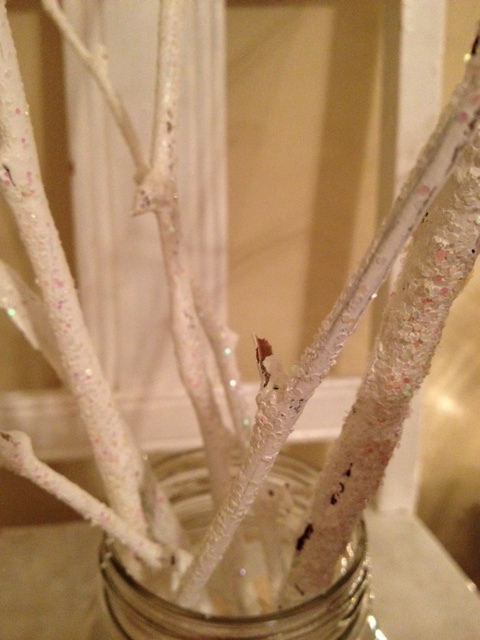 I grabbed some twigs that we used for our thankful tree at Thanksgiving time and made them look all “wintery” with some white paint and glitter. 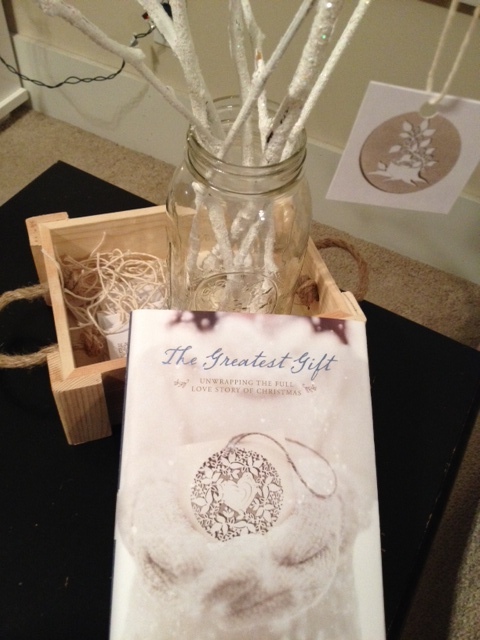 When you buy Ann’s book, you get the code to download free ornaments that represent each day’s bible story. I printed those on card stock, added some ribbon and put them in a cute box next to my tree so they are ready for each day. I am LOVING doing this every morning! There are some mornings where it is just too crazy and I end up sitting down at night to read my daily portion, but it is just as effective. It is keeping my mind focused and in anticipation. 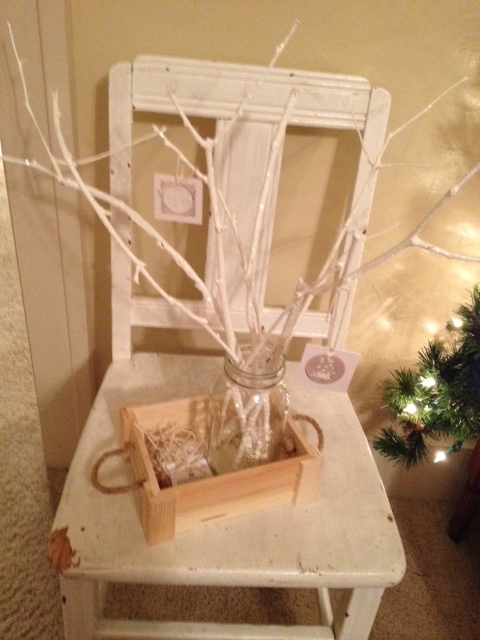 I am such a visual person so to have the tree with the ornaments on them reminds me of what I have read so far. It also is a great talking point with my girls. They have been asking me about the ornaments and I retell the bible stories to them. They are catching on and so I try to point to an ornament to see if they can tell me the bible story! Be sure to check out Ann’s book, it is not too late to get started. You can get it on kindle start on week 2 with me tomorrow! The Lord Will Provide. My husband spoke those words to me. God will provide the ram. He will provide in place of the sacrifice. l.” I toiled for weeks. I told the Lord, I want to do this. I will do this. I will sell this. My engagement ring. But, it has to come from my husband and not me. This was his gift to me. I left it in God’s hands. A week or so later, my husband brought up selling some valuables we own to raise money for our adoption. Our adoption that will end up costing close to $32,000. On his own, he mentioned my ring. I tried to hold in my excitement and make him think it was his idea. He said it was up to me, my choice. Because it was his gift to me. I let him in on my little conversation with God. We said we would continue to pray. We did. The ring is gone. Well, not officially, but I said good-bye and tried it on one last time as Chadwick took a piece of our history, a piece of our love story to sell to gain a Bigger part of our family love story-something bigger than even we can comprehend at this point. I didn’t expect to cry- but the reality of what I was giving up hit me in that moment. This was my most prized possession. This was something I had treasured for 10 years. This was a piece of me. We were both expecting to get at least half of what he originally paid. We were both disappointed. Chadwick came back. With the ring. I was frustrated. All the emotional ups and downs and he still had the ring. He said the jeweler was sorry, but he could only give us less than %20 of it’s original value. The amount he would give us was not worth selling. We were disappointed. We were confused. we felt that our sacrifice came from. The story of Abraham and Issac. God asked Abraham to give up something far more valuable than a diamond. He asked him to give his only son. The one who was promised to be the father of many nations. Talk about confusing! Abraham did what God asked. He tied Issac on the altar, and raised his knife to make the sacrifice then God intervened. He said “Do not lay a hand on the boy. Do not do anything to him. Now I know that you fear God, because you have not withheld from me your son, your only son.” He provided a ram in place of Issac. That place became known as Jehovah Jireh. The Lord provides. I did not get to make the sacrifice I intended, but because we took the step of faith to sell what God asked- “things” no longer have a hold on us. We feel freedom. Our faith was made stronger. God says keep waiting… keep trusting. I have never thought of myself as a writer. My husband is the writer. He is so good with words. He can write a poem in 3 minutes, a song in 5 and an article in 10. All publish worthy. Oh and he has already written a book that only took about 6 months. One of the hardest things for me to do when I was in elementary school was to write when prompted. I just have never thought of myself as creative in that way. I can create, sure! 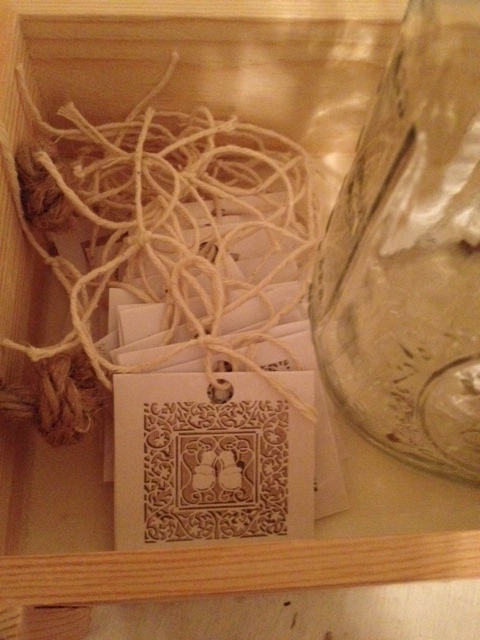 I can totally scrapbook, do Pinterest projects, make homemade gifts, decorate or bake. But to write- to actually create something original and to write something that comes from my own heart… never. God has shown me how he has been preparing me for this long before I even knew the seed was there. Over time reading has became a passion of my husbands and mine. Along with the reading, came the writing. I became an avid journal writer when I was in high school. I had always wanted to be a diary keeper- that never fit the bill. See, I didn’t want to write about my day, I didn’t think it mattered. Because, in all honesty when I was young and without a walk with God- I didn’t have much to write about. But then the Lord spoke into my life. He kept speaking into my life as a young teenage girl, and journal writing became a way to talk to God. To pray. To be angry. To be sad. To be confused. I never thought of it as “writing”… it was journaling. Everyone did it… right? Then I came across a book at Barnes and Nobles one night. This is one of my husband’s and my favorite dates. Yup- we are totally self confessed nerds. Barnes and Noble = date night. Typical of those nights, we would each wind our way through the book store, pulling out books and magazines to add to our arm load. Eventually we would meet back at Starbucks in the front of the store with our treasures. We woul get some coffee and sit and read while sharing what we liked with each other. One night I picked up a book that caught my eye. It was called “Journaling as a Spiritual Practice” by Helen Cepero. Journaling… is “a thing?” a “Spiritual practice?” This part of me that I have been doing for over 10 years could actually be used by God? I bought it. We never “buy” the books, we just write down what we like and check it out at the library or get a good deal on amazon… but never just buy it on the spot, but I had to. I had never seen a book before, dedicated to using journaling as a spiritual practice. My heart connected right away and I felt God was showing me that “Yes! This is how I wired you! You hear me best when you read my word and write. You understand yourself best when you write!” (my words, not his). “Sometimes you just have to write yourself into a place of understanding.” Yes- that is it. That is me. Writing = understanding. 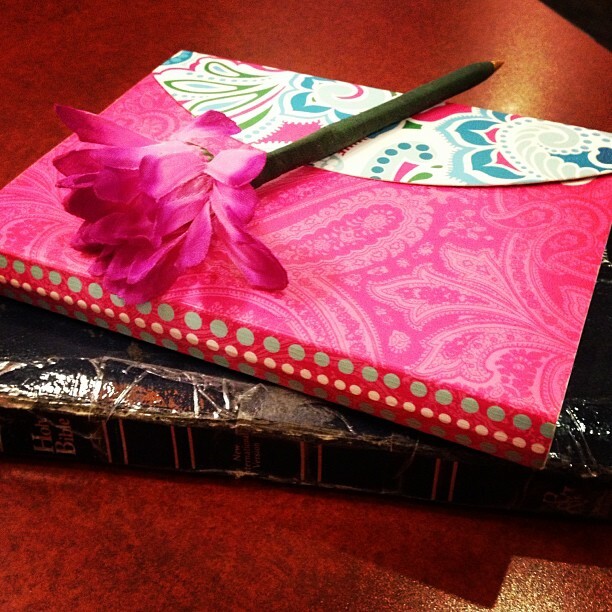 But how would God use my journaling to impact others? I am not a writer… I am a journaler. So, to say I have never written anything before would be wrong. I have been writing for 14 years, but only as a conversation between God and me. Very recently my writing has changed. My spirit of writing has changed. It has changed to tell a story. The story of God in me. I don’t like to type. I much prefer to take my journal and write with my cute little flower pen out on my front porch with a glass of iced tea. But to sit at a computer and type… it has a way of zapping my energy. When I first felt the pull to write I thought… “ok, God… but only if you can get me one of those super cool old fashioned type-writers. That would be so much more satisfying, than a Dell laptop!” No blinding screen to stare at. Just paper. I would get to hear the satisfying clicks of the old time typewriter. The clicks that would also remind me, there is no going back once you type that, – oh wait, there is no “Save” button- no way to quickly post this to a blog or make copies, other than to scan it in. Oh, and what would happen if a sheet or two were lost? IF I were diligent and organized, maybe I could commit to an old time typewriter… but I am totally not that. So I gave in and am staring at my Dell laptop, screen blinding me- hoping my hands and back will not take the brunt of my poor posture. I hope to share more of our typical days with you through words and pictures. I Hope to encourage and pass on some of the inspiration I have found through the Word and other books. 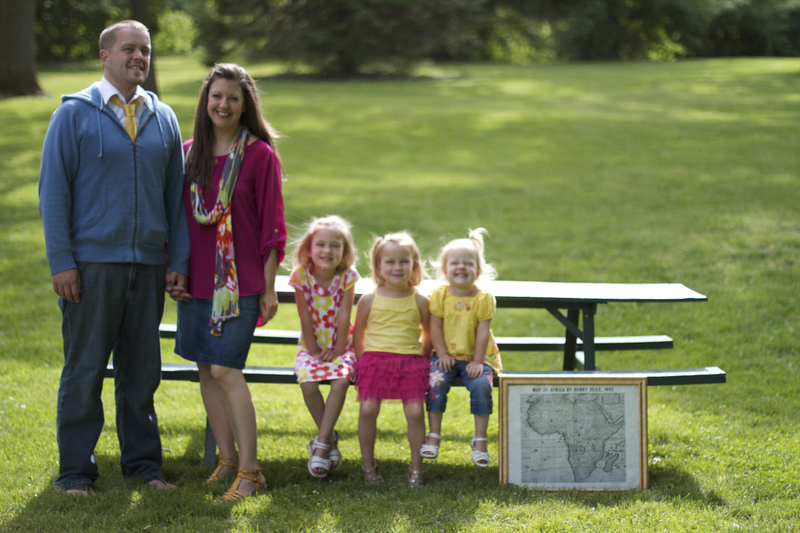 I want to share our story of family, adoption, homeschooling and faith. I hope to share life. One word at a time. I am a Christ follower. I am a wife. I am a mom. I am a daughter. I am a sister. I am a friend. I am a lover of different cultures and long to experience the creativity God has displayed in the world. I want to travel. Not for myself, but to serve others. I want to make a difference and speak up for the voiceless, to care for the orphaned and feed the hungry. To shake off the American dream and to live fully by taking a hold of “your kingdom come.” I want to go… but I want to stay. God has given me a mission here and now. A mission in mothering, teaching and loving. A mission of sacrifice and service. I can’t do it on my own. I don’t. I struggle with my own perfectionism and high expectations. God gives grace. God gives peace. God gives strength. I want to live in the present. In the now. Giving Thanks. I want to know what it truly means to live a full, abiding life walking with God. I want to see God in the small things for what he has created and is creating. I want our home to be a place where the veil is thinner because we abide in Him. I thank God for my family, teachers, mentors, friends, pastors and the church that surrounds me with encouragement and yet another reason to be thankful. I want to be like a child- impatient and bubbling with excitement to tell Him thanks for the small and the big in life. I thank God for the ability to see through my past experiences into the strength that now shines through. I Thank Him for family. For giving me a new picture of family. I thank Him for choosing us to be a part of His redeeming story. Brokenness and all. Active. Playful. Creative. Addie. Sophie. Ruby. Mom to 3, soon to be 4. We learn at home, together. We dance, create, explore, read, serve, love and do life, together. Our home proudly displays our young family. With toys, books, undone projects, old dishes found under beds, loads of laundry to be done and floors needing to be cleaned. I am a recovering perfectionist, who still stumbles into the guilt trap. Faith. We are in the middle of our biggest faith journey yet. Bringing home our 4th daughter- Phoebe from the Democratic Republic of the Congo. It has been 1 1/2 years on this journey and we are praying for it to be complete soon.